Distributed agile or adaptive development environment (DADE) (Kircher et al. 2001; Poole 2004; Sureshchandra and Shrinivasavadhani 2008) is a combination of both agile (Agile Manifesto 2001) and geographically distributed software development (SD) environments (Prikladnicki et al 2003; Lehtonen 2009). Agile SD teams rely on active and frequent communication and collaboration for increasing throughput (Noor et al. 2008). Communication among geographically dispersed agile teams and stakeholders is one of the key concerns of the DADE (Babar et al. 2006). Agile SD teams working in the multi-site distributed development environment require the support of communication and collaboration technologies (Malone and Crowston 1994; Espinosa and Carmel 2003; Kock 2005; Babar et al. 2007) for effective information and knowledge sharing (Kock 2008; Ackerman et al. 2013). The use of the appropriate communication and collaboration software technology (Kock 2010) would help to source, integrate and analyze information and knowledge from dispersed locations, which may enhance the agile SD team productivity (Schummer and Schummer 2001; Kircher et al. 2001; Herbsleb and Mockus 2003; DeLuca et al. 2006). There are a number of emerging social technologies (e.g. Chatter, Skype, HipChat, Twitter, and Yammer) that claim to support communication and collaboration needs of a DADE. However, these emerging online social technologies (Franchi et al. 2013) present both challenges and opportunities for the DADE organizations. Academic research is needed to develop new vendor independent social technology assessment artifacts or tools for assessing these emerging social technologies that claim to support DADE communication needs. This draws our attention to the following key research question. How best to assess as which of the social technologies really have the capability to support effective communication and collaboration in DADE? In on our on-going research, we have developed an adaptive enterprise service system (AESS) toolkit. This toolkit provides a set of tools for facilitating the technology-enabled enterprise transformation in the modern context. 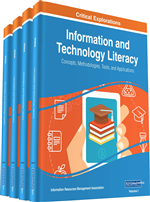 The overall aim of this toolkit (Gill 2013) is to support the assessment and adoption of emerging technologies (e.g. cloud, social media) for enterprise transformation or adaptation. This toolkit includes a communication technology assessment tool (CTAT) to assist in the assessment of emerging social technologies from the five key perspectives: (1) capability, (2) quality, (3) constraint, (4) risk, and (5) business value. The CTAT has been developed by using the design research (DR) method (Hevner et al. 2004). In the development phase of the DR research method, the construct of the CTAT was developed based on the analysis of the recent literature and face-to-face qualitative interviews of forty senior developers. The CTAT construct was then reported in (Gill and Bunker 2013). In the evaluation phase of the DR method, the consolidated final version of the CTAT is evaluated in detail by using it in the assessment of three well-known social communication tools: HipChat, Skype and Chatter. This paper presents the evaluation results of the CTAT. This paper is organized as follows. Firstly, it provides the research context. Secondly, it provides an overview of the research method. Thirdly, it summarizes the consolidated final version of the CTAT based on Gill and Bunker (2013). Fourthly, it presents the CTAT evaluation results. Finally, it discusses the research results, limitations, contributions, and future research endeavors.